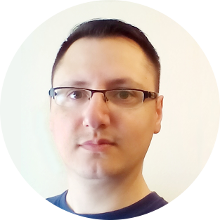 My name is Ciprian Ionita and I'm a web designer from Ploiesti, Romania. I design and develop clean and easy-to-use WordPress websites for small and medium businesses. I make responsive websites that work perfectly on any screen size and are Google friendly. Through services like Social Media integration, marketing strategies and SEO, I strengthen their online presence, generate more traffic and increase online sales. I also take care of the site's management. I've worked in printing for over 10 years, doing dtp and graphic design, in the meantime I started developing sites as freelancer 4 years ago, mainly creating static HTML & CSS sites, but slowly discovered the power of the WordPress CMS and since then used it almost exclusively. I am a life-long learner, always developing and learning the latest applications and expertise. "Very quick response time! Did an incredible job and met all expectations. Consistent communication throughout the process kept me well informed and will definitely use again and again!" To contact me just fill out the form below. Write a little info about what you need done, even if you want some free advice.